Congratulations! You win 67 bonus points with this purchase! Watch out for the new bottles with invisible seal. Dont tighten the top until you want to use it. Great as works as one solution, expensive to use but worth it. 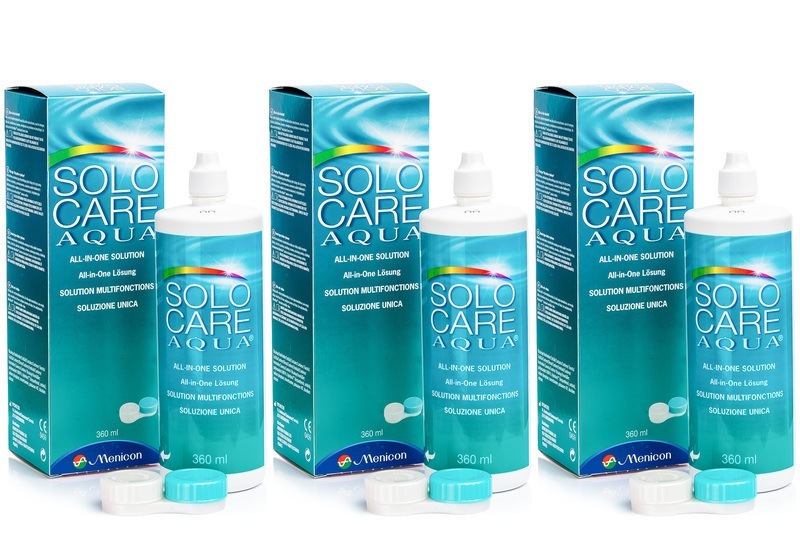 SOLOCARE AQUA from Menicon (formerly Alcon) is a multipurpose solution for cleaning, disinfecting, rinsing, storing and moistening contact lenses. The modern humidification method helps contact lenses stay sufficiently hydrated throughout the day. With new, patented locking system. On some bottles the cap may feel loose but it won’t leak, and there's no need to tighten it – in fact extra tightening can break the seal.